Brady Wilson: News & Articles | Juice Inc.
What’s happening at 25 Waterloo? Just over three years ago, Juice Inc. made the move to our new location at 25 Waterloo Avenue in downtown Guelph. Our hope was that by being closer to downtown, we would create a space that would enable exciting collisions, unlock potential and develop partnerships focused on enhancing business performance both locally and across North America. Since our move three years ago, we’ve been joined by amazing partners from Floworks Training, ODScore, Dialectic Solutions and most recently, TAG Digital Studios. In the spirit of fulfilling the vision for this amazing space, we innovated, renovated, and reallocated space to meet the needs of the amazing group of people collaborating within the space. This workshop series is one way we are bringing our vision to life and impacting our local community. We collectively want to make a difference and we are excited to help the businesses in Guelph and the surrounding area. 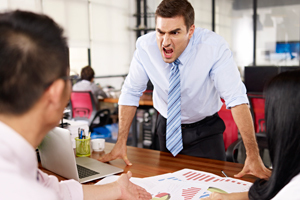 Are your employee engagement policies actually leading to DIS-engagement? Download The Engagement Paradox today! What are the monetary and personal costs of employee engagement? We’ve rounded up a list of interesting (and totally share-worthy) facts to help you improve your understanding of the issues around employee engagement—as well as the potential for opportunity when organizations work to improve the problem. Get this: the most critical skill you could possibly ever have is also an operating system—but it’s not technology. 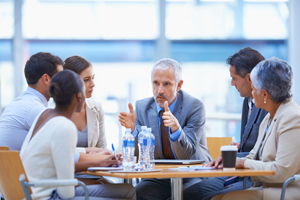 In fact, conversation is the critical backbone that can make or break employee productivity. But too often, leaders see conversation as a waste of time. how leaders can easily create frequent (but time-efficient) opportunities to connect with employees. At Juice, we’ve said this many, many times: tension can actually be really, really good for business. Even it culminates into something resembling an argument, tension can spark innovation, fuel performance, drive learning and—believe it or not—forge trust! shares a true story about how one company saw a $7 million increase in business, simply for taking the plunge and stepping into tense situations! 20-minute energy booster: tap into tension! Exhausted? Need a quick energy boost? Despite what you may think, tension is not necessarily a bad thing. Quite the contrary: within tension lies a free pool of renewable energy, just waiting to be harnessed! Interestingly, though, the human brain’s natural response to tension is that it is a threat. This article is the fifth of a Juice blog series on “fossil fuel” and personal energy in the workplace. The previous Fossil Fuel blogs (click here to read articles 1, 2 , 3, and 4) have pointed to tension as a source of free energy. But what is the most common response of leaders to tension? To avoid it. It’s time to reframe tension. It’s not something negative or toxic to be avoided at all costs: it’s a free pool of renewable energy that can drive the results that matter most in your organization. This article is the fourth of a Juice blog series on “fossil fuel” and personal energy in the workplace. Stay tuned for more in the series over the next few weeks! In the first article of this Fossil Fuel series, I introduced the concept of fossil fuel in the workplace: “dirty” sources of energy like shame, control and threats that produce a hot burn and quick results—but leave a greasy residue in the ecosystem. In article #2, I shared a story of the impact that fossil fuel had in my personal life: how I crashed 10 km from the finish of an IRONMAN triathlon because I began to burn the fuel of shame, fear of failure and obligation. In article #3, we began to look at the concept of “free energy”—fuel that’s ready for you to tap into if you can recognize it. Free energy comes from a counter-intuitive source: tension. Today’s blog provides a concrete example of a leader who moved toward tension and released so much free energy that it transformed her entire organization. This article is the third of a Juice blog series on “fossil fuel” and personal energy in the workplace. Stay tuned for more in the series over the next few weeks! As a child, did you ever send balsa wood airplanes zooming—or spend hours searching out that perfect Y-shaped branch, and finding a scrap of leather and some rubber to fire projectiles at a target? If so, you knew something at age eight that you may need to be reminded of today: tension = stored energy. The further back an elastic is pulled, the more energy is stored. When that elastic is released, the stored energy is instantly transferred to the projectile, launching it forward as if spring-loaded. Using the stored energy in an elastic, the user is able to reach targets at greater distances and with far less effort than attempting to rely on arm strength alone. This article is the second of a Juice blog series on “fossil fuel” and personal energy in the workplace. Stay tuned for more in the series over the next few months! Like many people, I was active in my youth…and then fell into a sedentary lifestyle in my 20s. Then, at the age of 45, I had a wake-up call that motivated me to change my life and get active once again. And that involved running. Personal energy: what fuel are you burning at work? This article is the first of a Juice blog series on “fossil fuel” and personal energy in the workplace. Stay tuned for more in the series over the next few weeks! For centuries, mankind used clean, renewable fuel to get work done. Wind powered our ships, and waterwheels ground our grain. But once we discovered crude oil, everything changed. Fossil fuel burned hotter and faster than renewable energy so we jumped on board, increasing our productivity by unfathomed multiples. Two centuries later, we are seeing the devastating impact of fossil fuel on our ecosystem. Renewable energy is at the front of our minds, once again. She knew a lot about Sanskrit grammar and other arcane matters. Employee engagement is arcane to many employees. Few really understand it. They fill in an engagement survey at the behest of their leaders but are unclear about how much weight their opinion holds and what action, if any, will occur as a result of their feedback. And what happens next makes the process seem even more obscure: silence. For up to six months.